First released in 1967, the Ro80 was NSU’s flagship sedan in a lineup that also included the plucky Prinz/TTS (heh…) at the time. 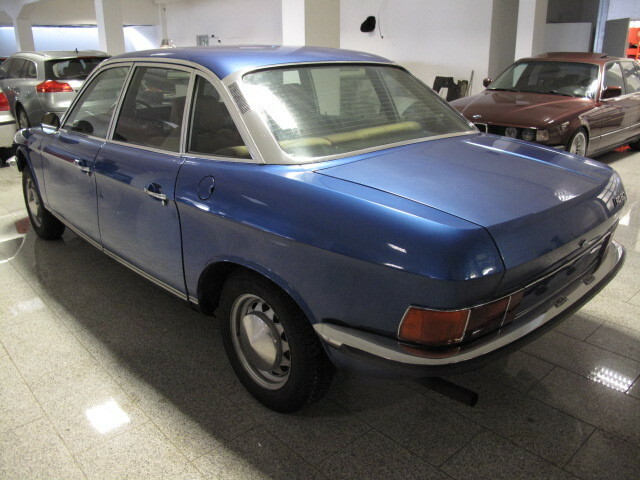 It was an original design by NSU, released a full two years before the company was acquired by Volkswagen. 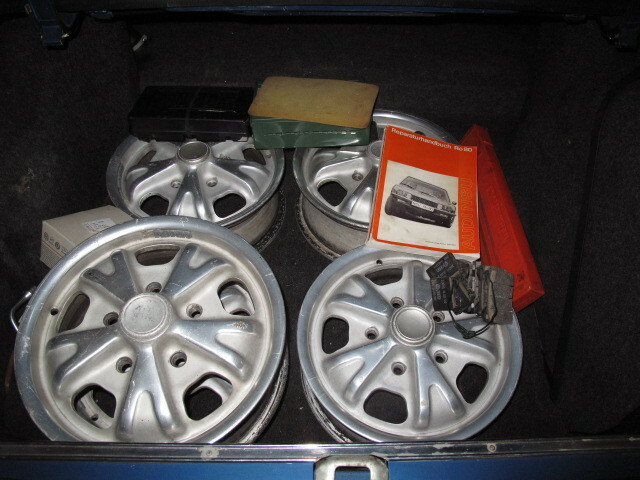 In addition to the practically unheard of twin-rotor Wankel motor, the car had a front wheel drive configuration allowing for remarkably efficient use of space inside the car and an almost flat floor, a cool semi-automatic transmission that had you row the gears through a standard H-pattern but without a conventional clutch, four-wheel disc brakes which were generally reserved for cars costing a heck of a lot more than the Ro80, and independent suspension on all corners. All of this combined meant a car that was about two full decades ahead of its time in both content and design. So it’s such a great package that everyone should have bought one and it should have taken the world by storm, right? Yes, but… The rotary engine garnered a reputation very early on for being wholly unreliable, mainly due to construction defects and seal issues, most of which were resolved by 1970-71, but alas the reputation had already been cast in stone. Because of the perception that these were unreliable and thirsty cars, they weren’t particularly cherished and most were driven into the ground by unsympathetic owners. Despite production of over 37,000 units across the entire model run there are only a handful available on the market at any given time, and they’re usually examples at both extremes of the market: a basket case good for little more than parts, or a pampered garage queen whose owner has an over-inflated sense of value. That’s what makes a middling care like this so appealing. Even reliability problems on early cars seem to have been more or less addressed by now, leaving the cars to suffer with general age issues as opposed to Wankel-specific troubles. That’s not to say that they can’t be temperamental, and they are still thirsty just like all rotaries tend to be. I could tell you stories about a 1.1 litre Mazda RX-7 that got about 11mpg. Granted I have a lead foot, but damn. They have a unique character, however, that makes them unusually rev-happy for cars of the sixties and seventies – the Ro80 redlines at about 6600 rpm, but it is remarkably eager to get there. Weighing in at about 2,800 pounds and producing 113hp, the Ro80 delivers 60mph in about 11 seconds and a top speed of about 115. Fairly leisurely by modern standards, but more than capable of getting out of its own way and happy to cruise at 100mph all day long. While the outside is more stylish than one would expect from 1960s Germany – some reckoning the car has a far more French look about it – the interior has that austere Germanic ambiance that we like so bad. 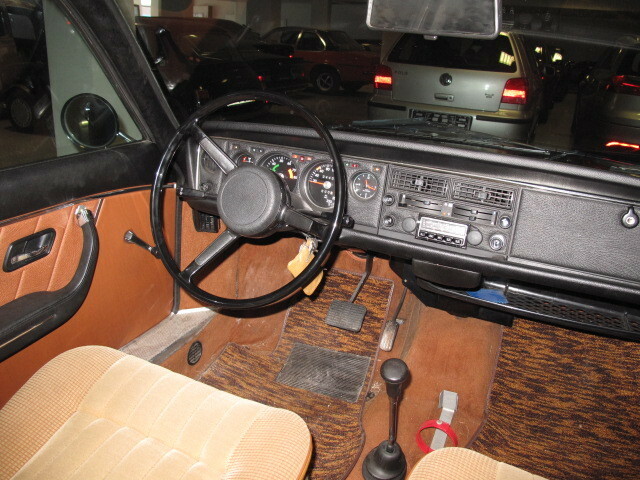 Gauges and switchgear are clear, simple, and well laid-out, the velour (or optional leather) seats lack a lot of flair but do the job required just fine, and the vast majority of Ro80s, at least those on the market, seem to have manual sunroofs. For an open-air junkie like me that’s a real plus. The 3-speed semi-automatic has well-spaced ratios but some have criticized its vagueness. Ever driven a Volkswagen with tired shift bushings? Something like that, but perfectly workable. Of course, you could get the Ro80s sister car – the Volkswagen K70 – with a conventional inline-4 and 4-speed manual, but that car is both uglier and slower than the Ro80, and far more rare. 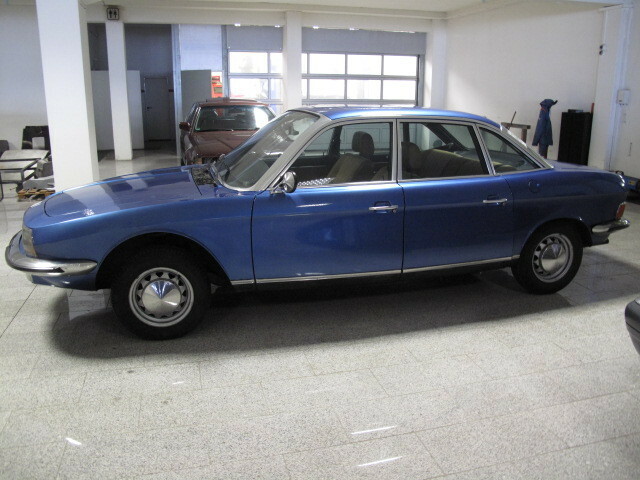 Besides, it just lacks the NSU’s svelte charm. This car’s blue on tan velour is a pleasing combination, although NSUs came in some terrifically 1970s colors like bright orange and bite-me green that would be a hoot, especially if you’re already going through the trouble of bringing one across the Atlantic. Because you’re not going to find one here. 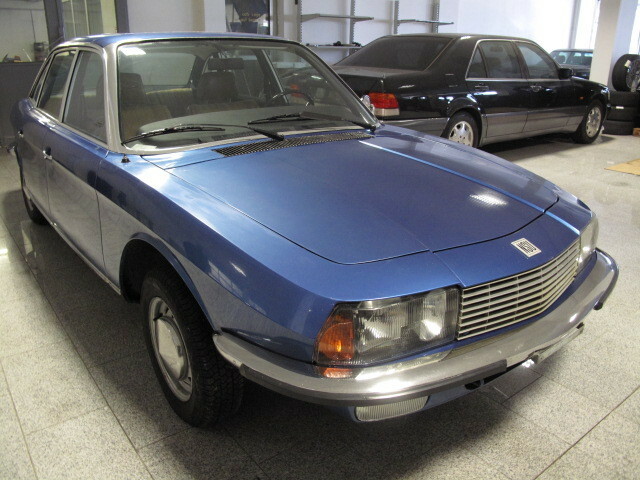 As rare and unusual German sedans go, this one is a pleasing performer and near the top of my “I want it” list. I’m not sure if I, or anyone I know, could actually work on it, but it comes with a handy repair manual (probably in German) to help. Even so, if you want to be different from, well, everyone, then this is an E-ticket. 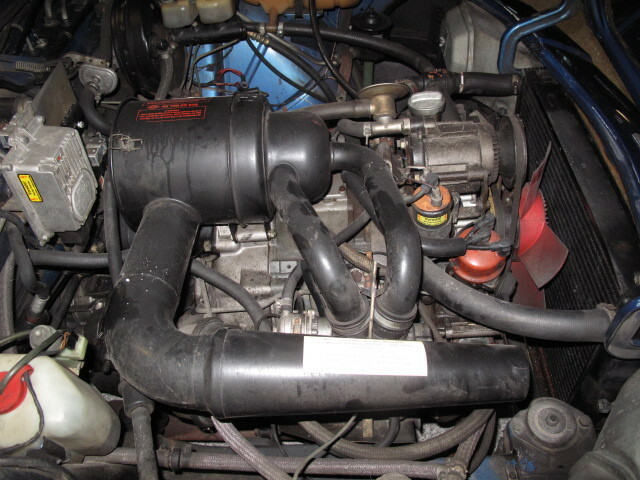 This entry was posted on Thursday, September 5th, 2013 at 11:55 AM	and tagged with 100/200, 5000, ATE, Audi, Auto Union, BMW E12, C3, Citroen, Claus Luthe, K70, Mazda RX, NSU, Ro80, Rotary Engine, Volkswagen, Wankel and posted in Totally That Stupid. You can follow any responses to this entry through the RSS 2.0 feed.